It’s safe to say that The Nutcracker is one of the most widely recognized scores in the world. It’s also commonly associated with the Christmas season, as evidenced by nearly every ballet doing some sort of rendition of The Nutcracker every holiday season. Some even estimate that annual performances of The Nutcracker account for more than half of every ballet’s revenue each year. That speaks for itself. Considering how old the ballet’s score is, that’s quite a feat. The first production of The Nutcracker first took place in 1892, in St. Petersburg, Russia. The ballet’s story is based off of a combination of preceding stories, but the score was written by the renown Russian composer Peter Tchaikovsky, and was developed over the course of a few years — and productions. In fact, The Nutcracker didn’t initially impress critics, and even Tchaikovsky himself wasn't very fond of his own score, but would later appreciate it much more. Just a few decades after its introduction, both the ballet production and Tchaikovsky’s score were popular all over the world, and still are today. In fact, Disney recently released a new live-action version of The Nutcracker. If you’re a fan of classical music, or just Christmas music in general, you should download this album as soon as you’re done reading this. ​Many modern productions of The Nutcracker offer their own spins on not only the story, but the music as well. But what about the original scores as Tchaikovsky wrote them? There are plenty of available recordings that are true to the original music, but some are certainly better than others. This album was originally released in 1989 under the Laserlight Digital label — one of the original record labels that brought classical music to the masses in CD format, but at a budget price. Throughout the 1990s, this album was a Billboard chart topper during the holiday season. It’s easy to see why, as it features an excellent performance by The Berlin Symphony Orchestra, conducted by the renown Peter Wohlert. While the original CD format still provides a bit of sentimental value, we were happy to see this album released again as a digital download — and at an extremely attractive price. As the name says, this album includes a portion of the entire Nutcracker suite, and features all of the most famous selections. This means you’ll get favorites like No.2 March, the Grandfather Dance, Waltz of the Flowers, and of course, Dance of the Sugar Plum Fairies. The clarity and richness is unrelenting, ebbing and flowing with a crisp sonic precision that’s accentuated with deep bass, and clear highs. The performance of the Berlin Symphony is perfect, and showcases their world famous skills, while keeping a commitment to the music as it was originally written. In total, the album runs an hour and three minutes. Amazon offers a few different formats, depending on your preference. For only $1.09, you can get the entire album as a digital download in mp3 format, or you can stream it for free on demand with an Amazon Unlimited account. CDs are available as well, and while they are more expensive, you do get an added bonus of DVD containing the actual ballet as performed by the Ballet of the Slovak National Theater and Sofia National Orchestra, so keep that in mind. This album is flawlessly executed, and the perfect “taste” of The Nutcracker Suite, making it a must-have addition to anyone’s holiday music collection. 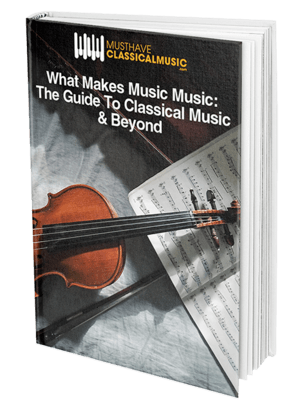 It touches on all of the most well-known songs, and it’s length of around an hour is ideal for home entertaining, or just as background music during the holidays. 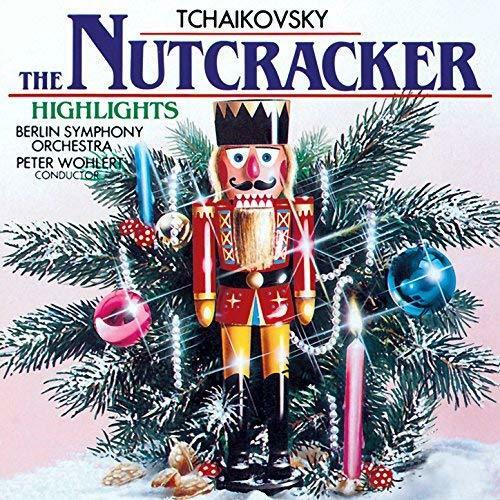 Tchaikovsky: Nutcracker (Red Classics) contains the entire Nutcracker Suite, as performed by the Dresden Staatskapelle, which is actually a pretty big deal. The Staatskapelle Dresden (known formally as the Sächsische Staatskapelle Dresden) is one of the world’s oldest and most famous orchestras, founded in 1548, and based in Dresden, the capital of Saxony. The album was recorded at the Semperoper, the orchestra’s home venue. Tchaikovsky: Nutcracker (Red Classics) contains all of the main pieces from both of the ballet’s acts, clocking in at just under an hour and 30 minutes. As expected, the songs are true to the original, and flow effortlessly, giving you an idea of what it might have been like to hear over a hundred years ago. The Dresden Staatskapelle’s performance is absolute perfection, and the rich acoustics of the Semperoper are on full display in every moment. For those looking for an accurate representation of The Nutcracker Suite, and showcased in an historic venue, this is it. This album is thankfully available in mp3 format, and you can have the entire thing for just $1.09. If you have an Amazon Music subscription, you can stream it anytime for free. There are no CD purchases available of this particular performance. In some ways, it almost feels like a privilege to be able to listen to such an accurate and rich performance of the Nutcracker Suite in its entirety. The fact that you can have the whole recording for just over a dollar is even better. Tchaikovsky Nutcracker (Red Classics) is an absolute must-have, and affordable for anyone.